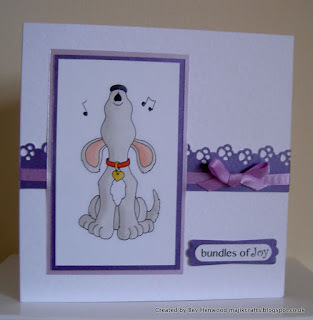 Majik Crafts: Bundles Of Joy! Hello everyone. Well, this is my first venture into blogging, it may be a bit sporadic to start with as I get to grips with the fundamentals, but hopefully I will get there! 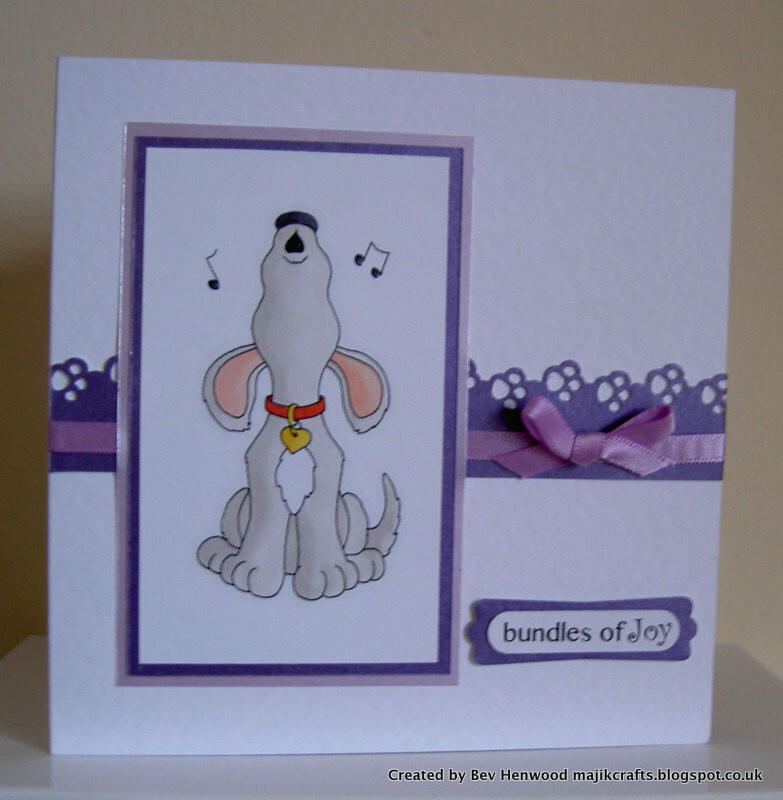 This is a card that I made for a very good friend who (wait for it) has recently been blessed with nine Bearded Collie puppies.